Norauto has been present in Italy for 20 years. It is part of the French group with the same name and it presents itself as a serious and professional alternative to its competitors (from the trusted tire dealer, authorized garages, to the brand dealer) for everything related to mobility (maintenance, travel, comfort, entertainment and equipment). In addition to a basic need of raising awareness on the brand, a clear need emerged: that of interacting with the business strategy that wants the company to become THE point of reference for all motorists and to catch a segment of the market that is increasingly growing, that of women motorists. The secondary objectives are closely related to bringing out the brand's values​​: transparency, guaranteed reliability, flexibility and sustainability. 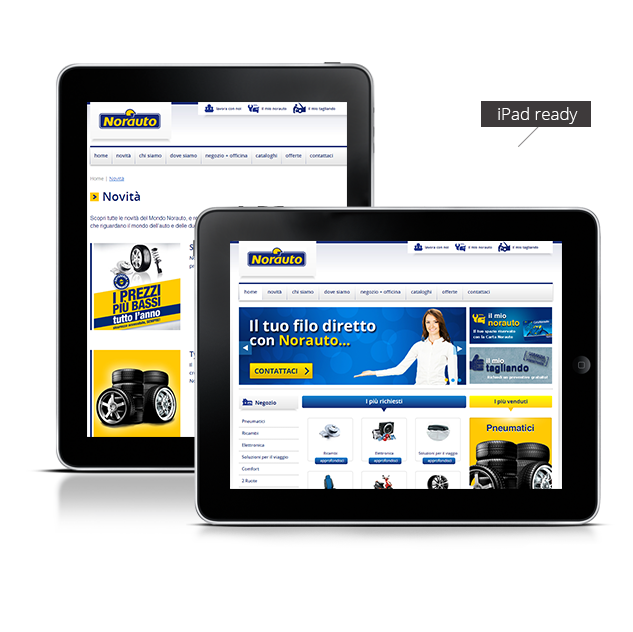 Following the lead of the claim "Norauto = Shop + Garage" we proposed a website restyling, starting from the reorganization and simplification of the navigation structure and ending with the use of images and icons, recreating a seamless customer experience available in one of the 25 Norauto stores: ease in finding a solution to the customer's mobility needs (four or two wheels), exploiting the product variety and the excellence of the provided services. 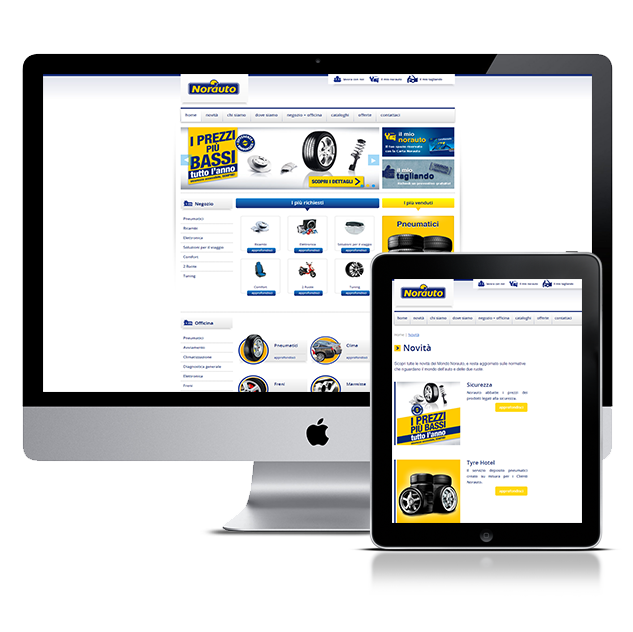 At the same time, we have designed a web marketing strategy and implemented SEO actions in order to place the website among the market leaders in areas with the highest competition rate (such as tires, which represent the core business of the company).